20m FT8 DX S2S event / attempt ? We should use messenger for sked ? I have just sent you a friend request on Facebook. Maybe we can try S2S on FT8 in our approx 1300z activations later? 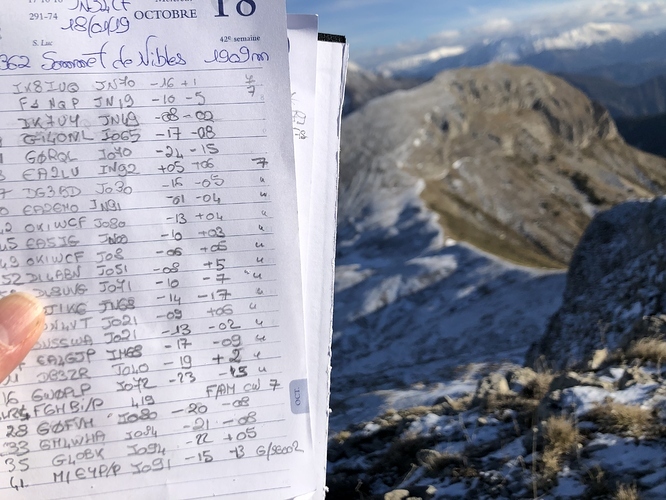 Congratulations dad and Roger on completing what I believe is the first ever FT8 summit to summit. Cheers Jim. But a first? I would imagine it’s already been done - but maybe? We succeed s2s with less than 1 watt on my side. My ft817nd Voltage was nearly 9,5 Volts. Tom was my last QSO. Well done both…Still watching and waiting to see North America appear on my screen with FT8 Sota. 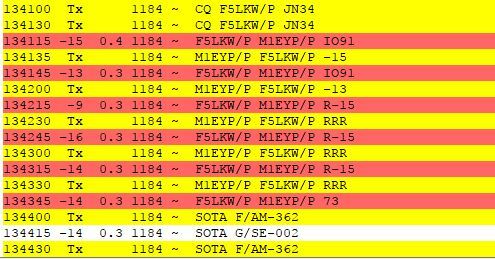 Yes, that would be nice Don - FT8 SOTA Stations USA/VE > EU, beam pointing that way at the moment. About now is optimum this time of year for USA SOTA stations, not much around though at present! 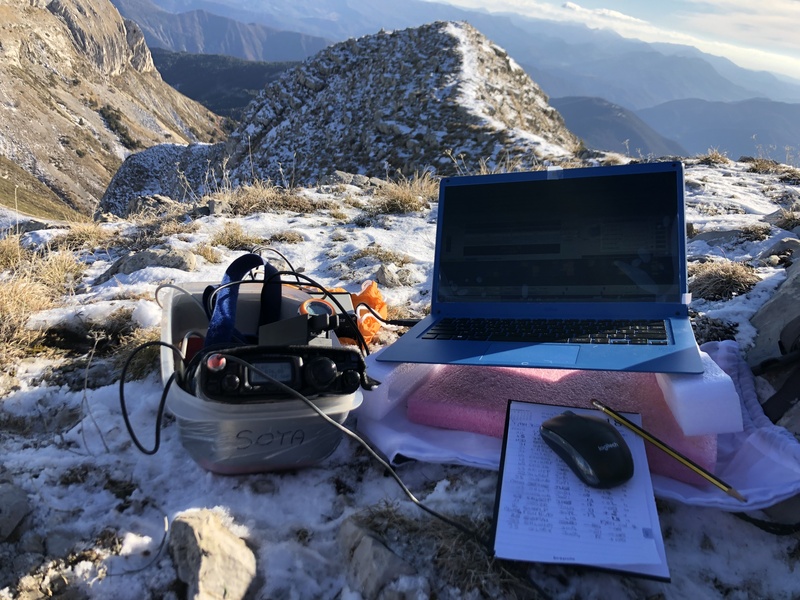 No plans to take a laptop or tablet on a summit personally, will keep bashing away on the key and microphone, but I am enjoying the FT8 fun from time to time in the shack, another string to the bow so to speak. Congrats to Tom & Bob in making their FT8 S2S with such low powers. PS Admire Bob’s use of the old desk diary as his logbook - a nice bit of recycling, don’t be a waster!